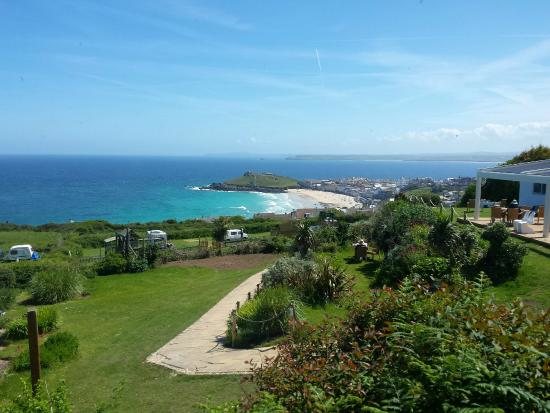 Spring is on its way, and you maybe considering booking your summer holidays for 2019.Consider St Ives and the Ayr Holiday park, wonder camping facilities and luxury caravans with amazing views over the bay know as Porthmeor. 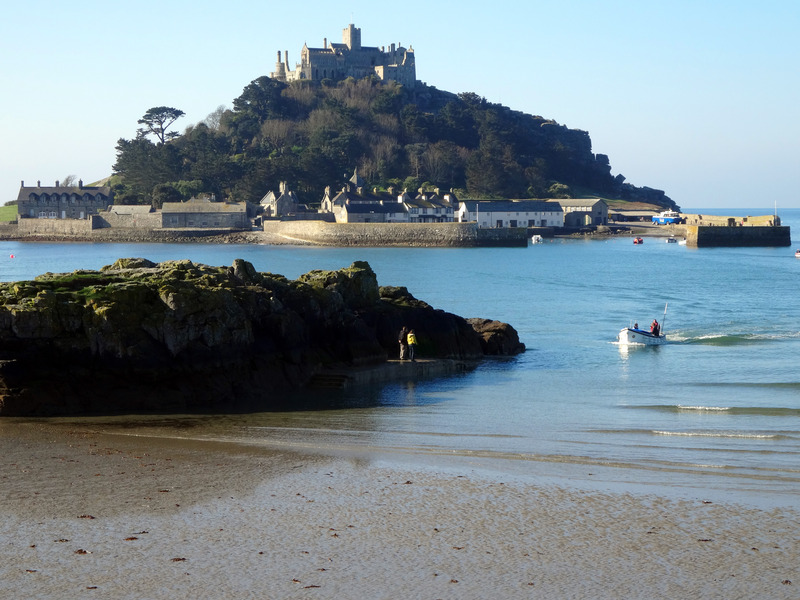 From the amazing surf beaches of the blowy North Cornish Coast to the sheltered estuaries and inlets of the South, Cornwall holidays provide an ideal break in a region noted for some of the warmest weather in the UK. Taste wonderful Michelin cuisine or amazing fresh fish straight from the sea ,OR enjoy an active surfing holiday go and visit fantastic scenery from rugged rocky cliff faces to heather-covered moors, and spend a holiday where folklore surrounds you around every corner. We put together a small selection of some of our favourite places to visit here at the Ayr Holiday Park, some are a little drive away , but defiantly worth jumping in the car for. The best way to sum up St Ives is to say its a picturesque fishing harbour with clear shimmering blue waters, surrounded by small houses and town shops .St Ives is one of Cornwall’s most popular destinations for people from all over the world. Explore this magical town through its cobbled streets, winding their way in between the traditional buildings that have stood the test of time. Head down to the wonderful Porthmeor Beach, its a great surfing spot. A fantastic range of sight seeing options throughout the town makes this a wonderful spot for a break. The long strand of bay know as Praa Sands is also mecca for surfers and a paradise for families, perfect for long coastal walks and just relaxing. The small Cornish village overlooks the expansive sandy beach and is backed by beautiful sand dunes. It is perfect for building the odd sandcastle, try splashing around in the shallows or some rock pooling always very popular with the kids! This small but extremely captivating Cornish fishing village is the southerly most port in the UK and is set within Cornwall’s Area of Outstanding Natural Beauty. It is surrounded by luscious landscape. Porthleven has many art galleries , down on Porthleven kite flying and sea fishing are popular pastimes. Porthleven provides an interesting mix of things to do for all ages and showcases an unusual history. You will find some great little pubs in Porthleven , pop in and grab a pint! Among the fantastic little spots on North Cornwall’s amazing Atlantic Coast is Mawgan Porth , its one of our favourites here at the Ayr Holiday Park. Its simply set in a lush green valley not far from Cornwall’s surf capital know as Newquay, the village is ideal if you wish to get away for a spot of tranquillity , its not as busy as many of the large Cornish towns during the summer .Its a perfectly quiet and private stretch of the county, but boasting a fabulous sandy beach and a surf school, you’re sure to get your beach holiday fix in Mawgan Porth. Do you want to dive in and fully Immerse yourself in Cornish history?, if so try some magical myths and stunning scenery and visist the Cornish town of Tintagel. The Village was made famous by the legends of King Arthur and Merlin. The village is totally steeped in a charming past that delights its visitors time and time again every year.To visit Tintagel its about an hours drive from the Ayr Holiday Park , however , its totally worth it.